How do I get funding from the ASUC? How do I get funding from sources other than the ASUC? Where should I keep my student organization’s money? How does my student organization spend our money? How can my student organization accept a donation? Most ASUC funding comes from ABSA or AAVP/EVP Grants. 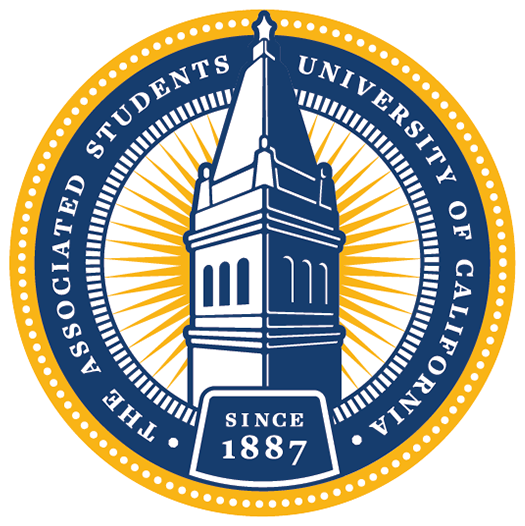 The 2018-19 ASUC Annual Budgeting and Spaces Allocation (ABSA) initial budget Allocations Decision can be viewed here. There are many sources of funding available throughout the year. Read about other grants and opportunities here and check out this master spreadsheet listing all campus funding opportunities here. All student organizations are strongly advised, and ASUC-sponsored student organizations are required, to have their financial accounts on campus, where they are maintained through the LEAD Center’s Business and Finance Office. Student organization’s agents have 24 hour access to view and manage their accounts via CalLink. You can learn more about student organization banking here. Access to make purchase requests is provided through the Finance tab in CalLink. Learn more about accessing your funds here (scroll down to read the FAQs at the bottom). If you are spending money provided to you from the ASUC, you need to have a member of your organization become certified as an agent here (scroll down to read the FAQs at the bottom). The agent also has to be part of the process of advancing the stage of a CalLink request. Read more about spending restrictions for ASUC funds here. If your student organization is sponsored by the ASUC, that means that you are under the fiscal umbrella of the ASUC. When you became ASUC-sponsored, the ASUC extended its 501(c)3 non-profit status to your organization. Thus, donors may be able to get tax write-offs when they make a donation to your organization. To apply to use the ASUC’s tax ID, click here and scroll down to read the the FAQs at the bottom. Interested donors can visit the online donation portal for a streamlined donation process. Visit the LEAD Center’s Business and Finance Office, which is a kiosk with a glass window into the hallway, right beside the LEAD Center at 432 Eshleman Hall. For help finding the Business and Finance Office, see the Eshleman Hall floor plan.